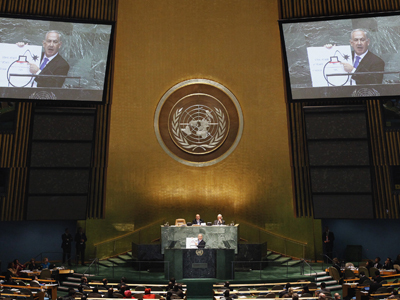 Member states of the UN nuclear agency voted down an Arab-backed resolution targeting the Jewish state for criticism over its clandestine nuclear weapons arsenal. Fifty-one countries voted against the so-called ‘Israeli Nuclear Capabilities’ measure and 43 states voted for it in what was viewed as a victory for the United States, which opposed the initiative. 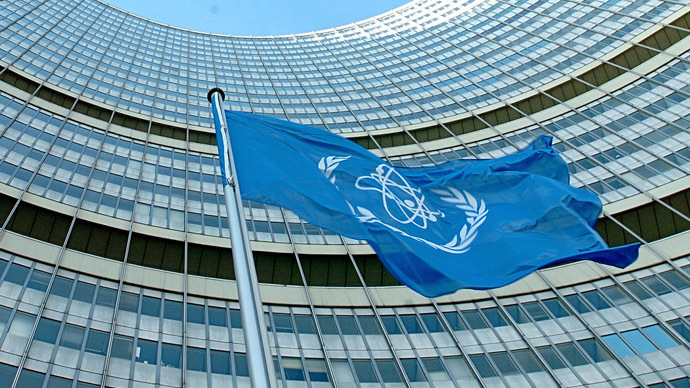 Arab states, exasperated over the postponement last year of an international conference on banning atomic arms in the region, proposed the measure at the annual member state gathering of the UN International Atomic Energy Agency (IAEA). The US had pushed for the Jewish state’s neighbors to refrain from putting the text forward. 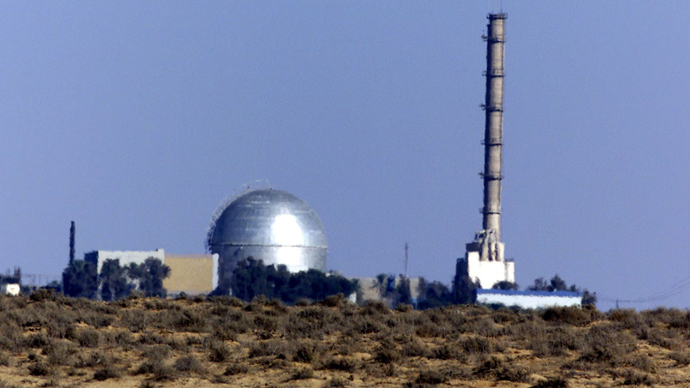 If adopted, Israel would have been compelled to join the Nuclear Non-Proliferation Treaty (NPT) and place its nuclear facilities under IAEA monitoring. Diplomats had expected a close vote. The United States said the move would endanger broader diplomatic efforts to create a Middle Zone free of weapons of mass destruction. Israel said it would severely undermine efforts to hold regional security talks. Despite the warnings, Ambassador Ramzy Ezzeldin Ramzy, head of the Arab League group at the IAEA, earlier said the draft resolution would go ahead. "The world has to know that Israel is not playing a constructive role, that Israel has a [nuclear] capability," Ramzy told Reuters. Iran for its part said this week Israel's nuclear activities "seriously threaten regional peace and security." World powers agreed in 2010 to an Egyptian plan intended to lay the groundwork for establishing a Middle East free of weapons of mass destruction. The US, who co-sponsored the meeting, said it would not take place as scheduled last December and did not forward a new date. Arab diplomats said they had held back on proposing the resolution over the last two years in a failed bid to buoy chances for the Middle East conference. "We have engaged seriously and constructively in the preparations [for the conference]. The Israelis have been playing for time, delaying. We have never seen enough seriousness on their part," Ramzy said. Israel's atomic energy chief, Shaul Chorev, said that Arab states were using this week’s IAEA meeting as a platform for "repeatedly bashing" his country. The Arab-backed resolution only deepens "existing distrust" among the region's countries, he said. Israel is believed to possess anywhere from 75 to as many as 400 nuclear weapons, including thermonuclear weapons in the megaton range. Israel has never confirmed or denied being in possession of the arms. In the most recent US report on the Israeli arsenal, published in the Bulletin of the Atomic Scientists, nuclear weapon proliferation experts Robert S. Norris and Hans M. Kristensen assess that Israel stopped producing nuclear warheads back in 2004 once it reached around 80 munitions. However, the country can easily double its arsenal since it has enough fissile material to build at least another 115 bombs, the experts say. 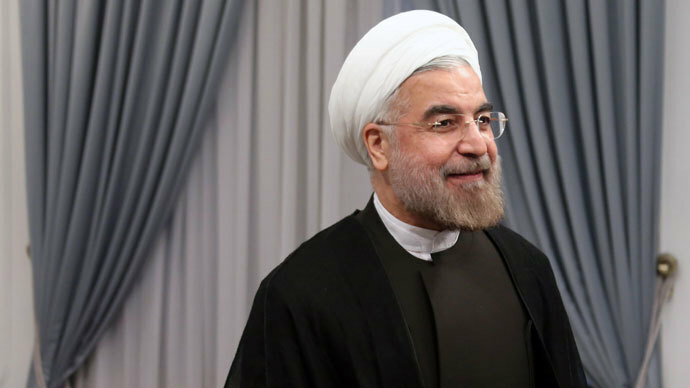 Despite potentially being the only nuclear-armed state in the region, Israel officials and their US allies believe that Iran’s uranium enrichment program is the main proliferation threat. They contend that a nuclear-free Middle East can only be achieved when concerted efforts are made to curb Iran’s atomic energy program. 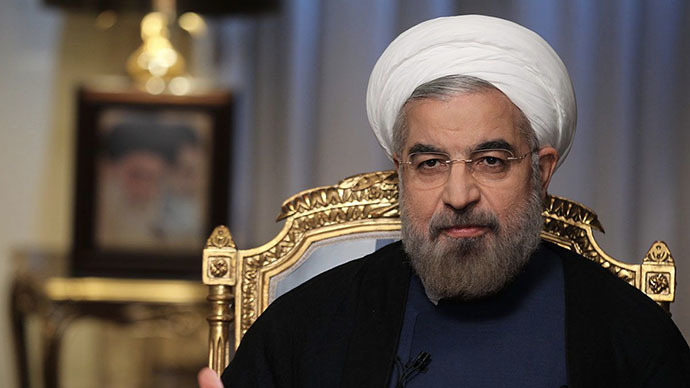 In an interview with NBC News which aired on Wednesday, Iranian President Hassan Rouhani said Iran would never develop nuclear weapons and that he had "complete authority" to negotiate a nuclear deal with the United States and other Western powers. Israeli Prime Minister Benjamin Netanyahu was dismissive of “the Iranian president's fraudulent words." "The Iranians are spinning in the media so that the centrifuges can keep on spinning," a statement from the Israeli PM’s office read. Weighing in on the issue on Thursday, Russian President Vladimir Putin said that Israel’s assumed nuclear weapons stockpile made the country “a target” and “create foreign policy problems,” AFP reported.